Arlene is an avid tennis player. She’s typically on the court three to four times a week. She loves the game and often plays competitively. Lately, though, she’s started to experience pain around her right kneecap. During the last game, it affected her enough that she had to stop early. “I had it three years ago,” Carla said. Arlene had never heard of it, but as Carla talked more about what she’d gone through, Arlene nodded her head. It sounded like a similar type of condition. Was that what she had? If you think you may have jumper’s knee, read on. We’ve got some exercises and stretches that can help. Also called “patellar tendonitis” or “patellar tendinopathy,” jumper’s knee is an injury that occurs in the patellar ligament, which is often called a tendon. In general, tendons connect muscles to bones and ligaments connect bones to bones. The patellar “tendon” connects the patella (knee cap) to the tibia (shinbone), so it’s actually a ligament. About 2 to 3 inches long, it’s made up of dense, regular connective tissues and strands of collagen and is situated right in the front of the knee, just under the kneecap. The patella (knee cap) is also attached to the quadriceps muscles in your thigh by the quadriceps tendon. The patellar ligament is often considered an extension of that tendon, which is one reason why it may often be referred to as a tendon. It works together with the quadriceps muscles and tendon to bend and straighten the knee. More specifically, the quadriceps muscles pull on the quadriceps tendon that, in turn, pulls on the patella. Then, the patella pulls on the patellar tendon and the shinbone, allowing your leg to straighten. When you want to bend the knee, the hamstring muscle — in the back of your leg — pulls on the tibia, which causes the knee to flex. The patellar tendon (ligament) is mainly responsible for transmitting forces from the thigh to the lower leg. In jumper’s knee, the patellar tendon (or ligament) becomes damaged somehow. 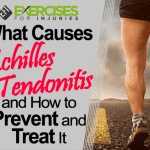 Small tears or “microtears” may form and the tendon may become inflamed. Some level of collagen degeneration also occurs, which weakens the tendon. 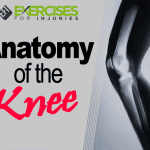 Symptoms typically include pain below the knee cap and when bending the knee, stiffness in the knee and possibly pain in the quadriceps muscle. There may also be swelling in the knee joint. Grade 1: Pain occurs only after training or exercising. Grade 2: Pain occurs before and after training but eases up after you’ve warmed up. Grade 3: Pain during training that limits your performance. Grade 4: Significant pain during exercise (or inability to exercise) and pain during regular daily activities. Do I Have Jumper’s Knee? If you have pain in the back or on the side of the knee, it’s not jumper’s knee. What Happens If You Don’t Treat Jumper’s Knee Properly? The problem with jumper’s knee is that because it’s an overuse injury, it often develops over time. That means that initially, the pain probably won’t be that bad, which may encourage individuals to ignore it. However, that’s a mistake. Continuing to “work through” the pain will only cause more tears in the tendon. These tears are likely to get larger in time, causing more pain and reduced function. Without proper treatment, the condition can progress to a chronic one that is much harder to eliminate. The problem is that each time the damage occurs, the body rushes in to try to repair it. If you don’t give it the time it needs, the repair is only partially completed before another tear occurs. The body responds by increasing collagen production, and the tendon can become thick and stiff. This makes it more difficult to repair and increases the odds that it will continue to cause problems. How Do You Treat Jumper’s Knee? Recovering from jumper’s knee can take a few weeks to several months, depending on how severe the injury was. During that time, athletes can engage in other types of activities that don’t put pressure on the patellar tendon, like swimming. Realize that just because the pain diminishes doesn’t mean the injury is healed. Follow your doctor’s instructions. 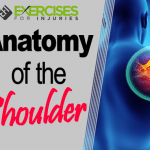 If the injury doesn’t respond to the above treatment methods, doctors may also try other forms of treatment, including ultrasound, laser treatment, massage and injections. The following exercises and stretches can help you recover from jumper’s knee and will also help prevent the injury in the first place. These are just a few examples, however. If you suffer from this injury, be sure to talk to your doctor about a thorough physical therapy program that will help you heal. Quad stretch: Stand or lie down, keep the knees together and pull the leg up behind you, grasping your toe. Pull it gently until you feel the stretch in your thigh and hold for 20 seconds. Repeat. Calf stretches: Place the balls of your feet on a step and let your heels drop down until you feel the stretch in your calf. You can also use a street curb. Hamstring stretch: Lie on your back and wrap a resistance band around the bottom of your foot, holding the ends in your hands. Raise that leg while pulling the foot toward you, keeping the knee straight. Hold for 20 seconds and release. Repeat. Hip flexor stretch: Get down on the floor, placing one knee on the floor directly underneath you and the other foot out in front with the knee bent at a 90-degree angle. Keeping the back upright, push the hips forward until you feel a stretch at the front of the hip and upper thigh. Hold for 10 to 30 seconds and repeat. Single leg extension: Lie down on your back and lift one leg straight up, then slowly lower back down. Repeat. Hip abductions: Lie on your side with your body in a straight line. Lift the upper leg, keeping the knee straight and the hip still. You should feel it on the outside of your hip. Eventually, your physical therapist may suggest “eccentric” squats, which are performed on a board with a 25-degree decline and focus on lengthening the muscle through exercise. 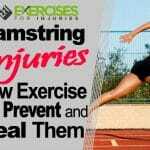 Some studies have shown that these types of exercises are more effective than other types for treating these injuries. Work on your form — ask for help on how you’re performing to fix any movements that may be increasing the load on your knee. 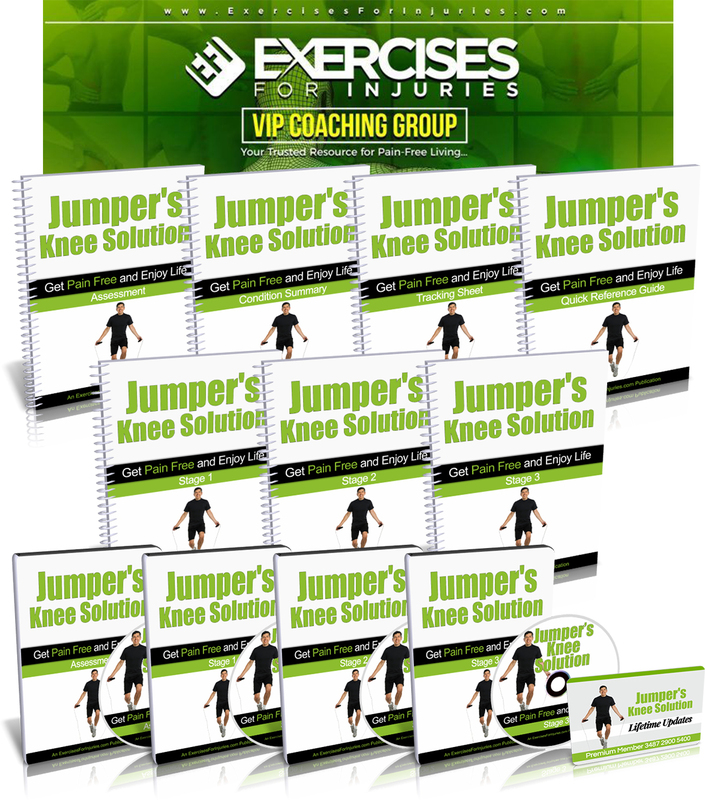 If you want to take control of your rehab and relieve knee pain faster, then check out the Jumper’s Knee Solution program.